On May 10th Giulia Andrighetto, LABSS co-director, gave a talk at the University of Utrecht about Modelling and Experimenting with Social Norms. Lives of human beings are largely governed by social norms, rules or principles that, independently from legal institutions, prescribe what we ought or ought not to do. Recently, scholars from different fields have recognized the importance of social norms as solutions to major local and large-scale collective action problems like management of water resources, cessation of smoking in public places, change of fertility norms. In this talk, I will present my work on the effect of social norms in promoting human cooperation. 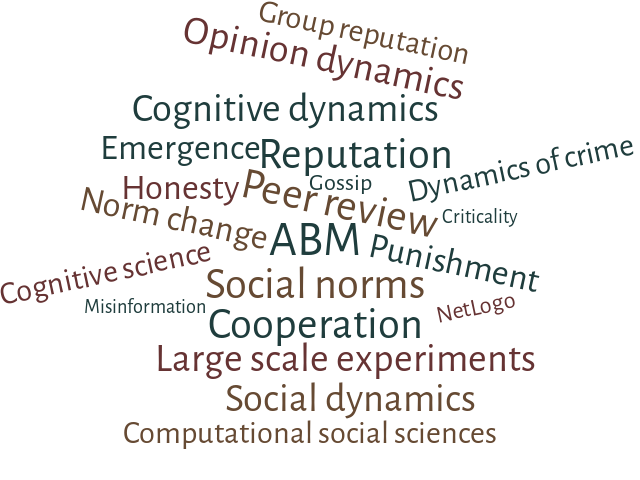 I will first discuss results from a laboratory experiment aimed to test how social norms can promote cooperation in a public goods environment. I will then present an agent-based model that may help to shed some light on how social norms can impact the decision process underlying the cooperative behavior observed in the laboratory.